In the practice of Mahasati meditation, we are urged to be aware of movement – movement of the body and movement of the mind. We start with this hand movement, but Luangpor Teean said that we should know every movement of the body and mind – even the beating of the heart. This is a very direct path to awakening. Body and mind are moving continuously. To know every movement of the body and mind is the opposite of delusion. To know every movement of body and mind is to be awake. On the other hand, if the body and mind are moving without awareness, it is like you are sleepwalking. The defilement that we call delusion is nothing more than a lack of knowing or awareness. If there is full awareness, then there is no delusion. Luangpor Teean sometimes used the simile of a glass of water, where the water represents awareness, and any air represents delusion. If the glass is completely full of water up to the brim, then there cannot be any air in it. There is no delusion in the glass when it is filled with awareness because it has been displaced by the awareness. If awareness diminishes, if some of the water evaporates, or is spilled out, then delusion comes back in. The elimination of delusion is the perfection of awareness. Nibbana, or the laying down of suffering, is really nothing more than the perfection of awareness of body and mind. When we find ourselves suffering, our present-moment self-awareness has lapsed. We can confirm this for ourselves by reflecting on our experience. When we find ourselves caught up in clinging or aversion, the mind is no longer aware of the actions of body and mind, but is caught up in proliferating thought. When we come back to the present moment awareness of the movement of body and mind, it is like waking up from our physical and mental sleepwalking. We come to our senses. This way of practicing is eminently useful. We can do it at any time because it is not dependent on sitting still with the eyes closed. We can do it in our daily lives where it can serve as an antidote to stress and anxiety. Stress and anxiety are like a bad dream that comes when we sleep and which is sustained by proliferating thought. This practice teaches us how to wake up and come back to the here and now of the body and mind. In our formal meditation practice, being aware of each movement of body and mind leads to a very deep and illuminated Samadhi. The practice challenges us to a deeper level of concentration than only watching the breath. A single breath spans many moments. Knowing every movement of body and mind is a much more fine-grained practice. It is also challenging awareness to become very quick. The movement of the mind is very fast, to see it, awareness learns to also be very fast. 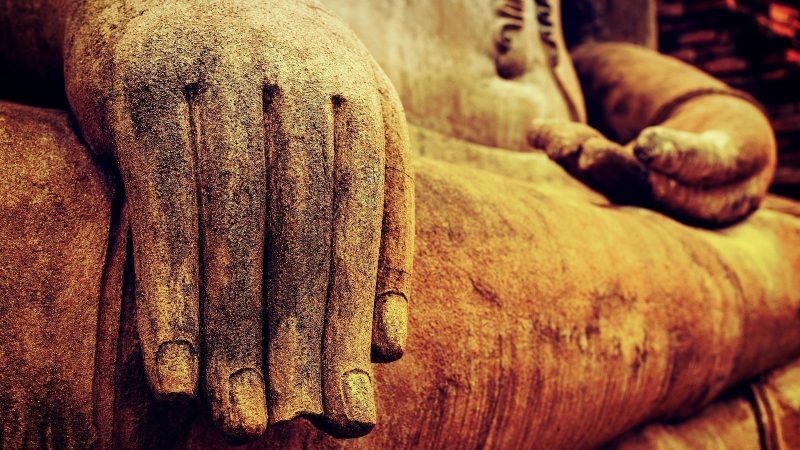 This perfecting of awareness of the movement of body and mind is a direct path to Nibbana. It naturally leads the mind to the arising and cessation of physical and mental experience, which is the doorway to Nibbana. The deeper truth is that body and mind don’t really move at all. From the standpoint of ultimate truth, body and mind are incapable of movement. All that body and mind are capable of doing is arising and passing away. To really know this directly for oneself is to nullify the chain of dependent origination that produces mental suffering at its root. But, to know the ultimate truth that body and mind don’t move, we need to bring full awareness to the relative truth that body and mind are always moving. To clarify, you mention “in our formal meditation practice, being aware of each movement of body and mind leads to a very deep and illuminated Samadhi”, are you implying concentrated Jhana states here? My understanding of the method was not to concentrate but to just be aware of the movement and let thoughts come and go. Thanks for asking this important question, Cliff. Our practice does not involve the conventional practice of jhana in that it does not employ one-pointed absorption, but it would be a mistake to believe that it does not involve concentration or samadhi. Right concentration is a factor of the Eightfold Path. It is also one of the 5 Spiritual Faculties and 7 Factors of Enlightenment. It would be hard to argue that concentration is not needed for awakening. For us, right concentration means continuity of mindfulness – to know the movement of body and mind from moment to moment, without any breaks. Sometimes teachers would describe this as putting moments of awareness together continuously like links in a chain. It is samadhi because awareness abides outside of thought for a length of time (but without suppressing thought). I refer to it as illuminated because it doesn’t exclude anything and is characterized by clear knowing. This right concentration must also be accompanied by right effort. Right effort is a gentle but persistent determination – without strain. The Buddha used the simile of a lute string that is neither too lax or too taught. As an aside, your question about jhana reminded me of a book I recently read: Early Buddhist Meditation: The Four Jhanas as the Actualization of Insight, by Keren Arbel. In it, the author argues that there is a disconnect between how the jhanas are presented in the original suttas versus the later commentarial literature. Conventional jhana practice generally follows the commentarial explanation. She proposes that the jhanas may have originally referred to states of mind that could have been abided in for extended periods, and which were not tied to sitting still while focusing on a single object. I am not a Pali scholar, so I can’t evaluate her scholarship, but I found it interesting because it resonates with our practice.